OMG Posters! » Archive I Am 8-Bit Art Prints by Scott Campbell and Scott Belcastro - OMG Posters! A Paper Tiger is handling the fine art print releases from World Of Wonder Storefront Gallery’s “I Am 8-Bit” show, and the first two are pretty rad. 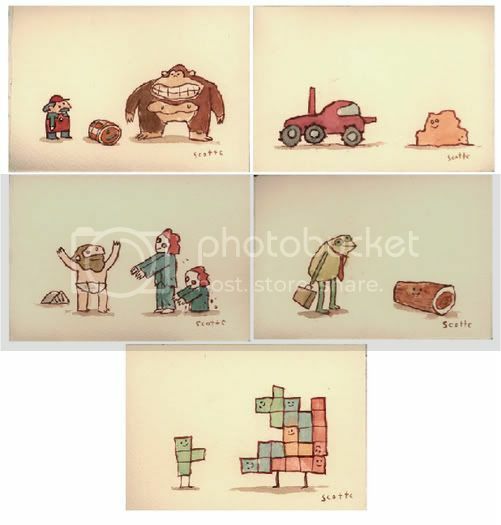 “Great Showdowns (of the 8-bit era)” is a set of five 3″ x 5″ giclee prints by Scott Campbell. The set is limited to only 30 pieces and is $100. 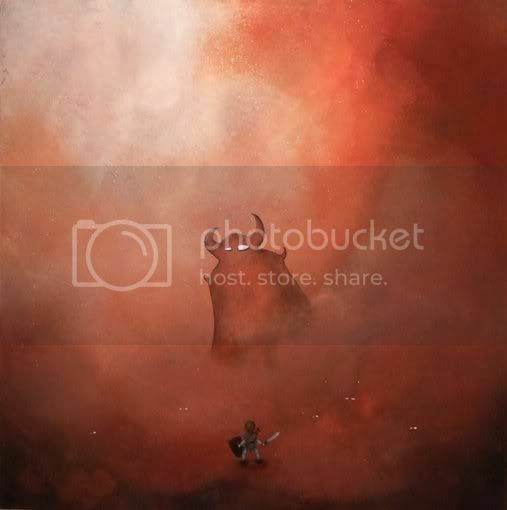 “Link vs. Gannon” by Scott Belcastro is a 12″ x 12″ giclee, has an edition of 50, and is $100. Visit APaperTiger.com. dang these are all pimp. in fact, hella pimp. it makes me sad that they cost so much money. in fact, i would almost purchase this product. im not sure if castlevania is better than donkey kong, but i am sure that they both rule. I believe it’s Ghost’s and Goblins or Ghouls and Ghosts that you are thinking of. Either way, I couldn’t pass up these smile inducing Campbells. ah! you are correct sir! you are a gentleman and a scholar! The top 5 look like something my 6 year old niece draws. I should put that girl to work. Scott C’s work puts a smile on face every time. Those are all great. I’m sad to say I’m old enough to have played Moon Patrol on the Commodore 64. I would love that Zelda print. These are great. I also really like the Great Showdowns he did for that Cult Movie gallery deal.